WP Fusion works with Restrict Content Pro to add customers to your CRM when they purchase a subscription. You can also apply tags in your CRM based on the level of subscription purchased, and automatically grant membership levels to users by linking membership levels with a tag. Apply Tags: When the customer purchases a membership, these tags will be applied in your CRM. This is the default behavior. Link with Tag: Most sites won’t require this, but it is available as an option for those that need it. This setting allows you to select a tag that becomes linked with the membership level. If this tag is applied to a user, for example via a webhook, they will be automatically enrolled in the membership. Likewise if this tag is removed, they will be removed from the membership. This lets you automate individual users’ membership levels using sequences in your CRM in conjunction with webhooks / HTTP Posts. 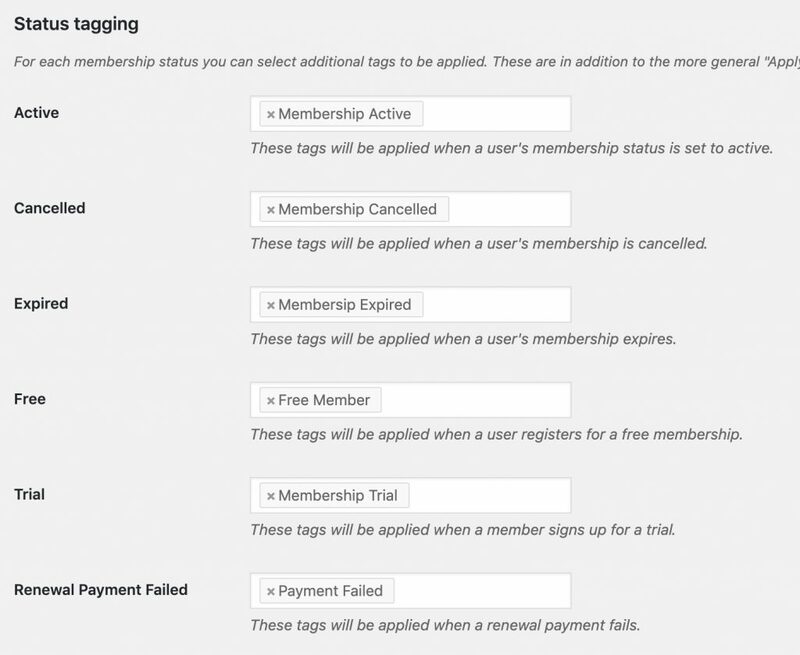 WP Fusion also supports applying tags based on specific statuses of memberships. This is in addition to the more general Apply Tags setting, and can be used to trigger emails from your CRM based on changes in a member’s status.